Fitness has become rather fashionable in recent years, and quite rightly so. Whilst some still laze around the home watching TV and playing games, more and more people are getting up and active, getting themselves into a gym, or getting together a group of friend to play any number of sports. For first-timers looking for a gym to join, it’s important to consider certain factors to ensure you enjoy working out, and keep going on a regular basis. No matter how a good gym is, if it’s really far away there will be days when you simply can’t make it there. Choosing a gym that’s convenient and easy to get to will make it easier for you to maintain your schedule and even allow you to pop in for impromptu sessions. This is usually the factor that’s first on most peoples’ mind. Prices for gym memberships can vary greatly from place to place so be sure to shop around before committing to long-term deals. It’s common for gyms to offer excellent value for money promotions on memberships, so be sure to keep your eyes open for those. Each gym will run it’s own fitness programs and classes, which means you’ll need to choose the one that’s best suited to exercises you enjoy doing. You can find gyms that incorporate everything from Zumba and Pilates to strength and conditioning and/or combat sports. This is a simple factor that will help you narrow down your search for a gym. Does it have the equipment you’re looking to use? Some gyms may focus more on aerobics, weightlifting, combat sports or even dance and/or yoga, and will be kitted out accordingly. 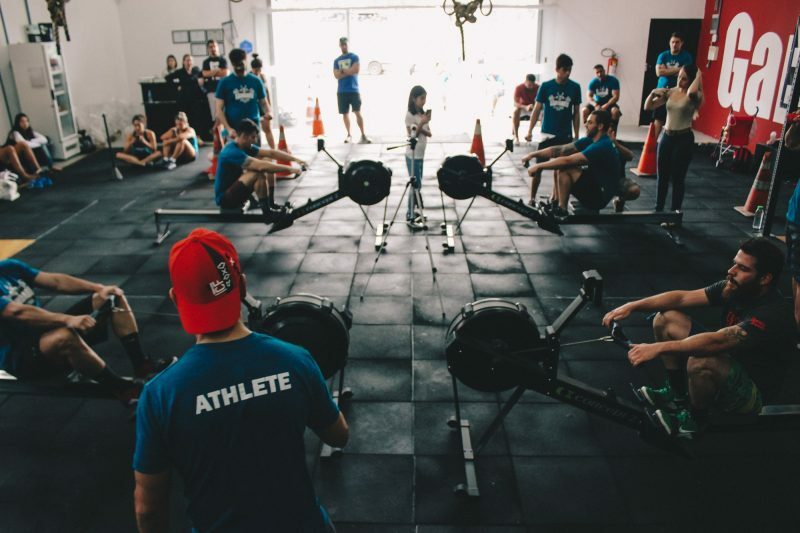 Whilst it is possible to be self-taught in all things fitness related, you’ll want to make sure that the people you’re going to pay to help you get fit to have the credentials and experience to suggest that they can do exactly that. There are many fraudulent personal trainers who may look at the perfect picture of health, but in reality, know very little about the science behind getting fit and staying in shape. So remember to verify the trainers’ credentials and make sure they are the right people for the job! Does the gym provide nutritional advice, seminars, meal plans etc? Your diet itself is just as important as working out. So if you don’t know much about what foods are genuinely best for your body, then it’s a good idea to spend a little time studying how to eat clean. It doesn’t have to be boring, bland and uninviting, in fact, once you have the right recipes you’ll enjoy eating healthy food more since you know it contains the exact nutrients you need, it makes you feel good, and if it tastes great too, well, why wouldn’t you. Does the gym close for any public holidays? Whilst most gyms make it extremely obvious when they open and close daily, one important detail you might simply miss is whether the gym closes during public holidays, or at any other time of the year. Some gyms may choose to close during the holiday season, so be sure to find out if that’s going to affect you. How long have the trainers been coaching and teaching there? This can be a sensitive subject for some gyms. Many gym businesses compete rather aggressively and when popular trainers move gyms, it’s not always done with smiles and handshakes. However, this is the very reason you should try to find out how much the trainers like their job, and how loyal they are to the company. The last thing you need when you’re just getting into a regular workout routine is to suddenly lose the person that mentored you. When asking you don’t need to be too direct, you can politely ask other gym members how long trainers have been there and how they tend to treat people, you’ll soon get a good idea of what to expect. If you’re looking for a high-level gym with a reputable fitness program, then be sure to follow the steps above, and you’ll be reaching your fitness goals in no time.